FOREST CITY (WNEP) -- Remember that snake scare in Forest City after a photo was given to police last week? 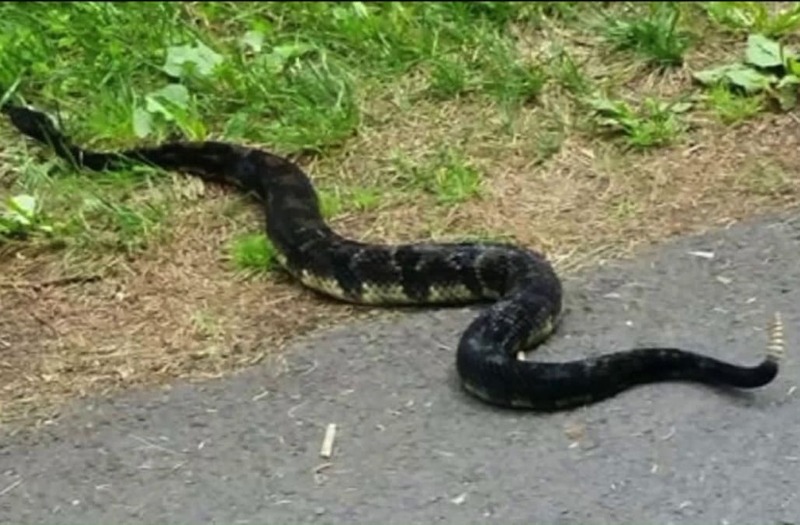 Turns out the photo and the snake are real but tonight there are questions as to whether the photo was actually snapped 45 miles away at a state park in Pike County. Nicole Farley told Newswatch 16 and police in Forest City she saw the rattlesnake last Monday and snapped a photo on her phone. RELATED: Was snake sighting a hoax? Was snake sighting a hoax? A Pennsylvania man claims a photo of a rattlesnake a woman told WNEP she found in her yard was actually taken by him, 45 miles away from where the woman lives. Now, police are investigating whether the woman filed a false report. Now, someone else has backed up the claim that Farley didn't take the photo and that has police looking into whether she filed a false report. For about a week, folks who live along the D & H Rail Trail in Forest City have been on the lookout for rattlers all thanks to a photo of a rattlesnake which Nicole Farley claimed to see in her yard along Main Street. "When I saw it I was concerned. I told my friend, watch your yards," said Michelle Rasmussen of Forest City. A lengthy pipeline project on the rail trail was thought to be disturbing any rattlesnakes and the police even posted a warning to the public. Still, some were a bit suspicious. "I see rabbits, chipmunks, never seen a snake. Never a rattle snake," said Mary Ann Rutkowski. "I snapped it on my cell phone. I took 4 or 5 pictures of it," said Lyle Razny. Lyle Razny pointed out where he saw that rattler inside the state park in Pike County last month. His girlfriend posted the photos to Facebook and that's where Razny believes Farley got the photo she shared with everyone. "I`d rather see promised land state park have the credit rather than someone who doesn't have anything to do with the park," said Razny. We showed the evidence to Farley. She still insists it's her photo on her phone. "You can go in my phone gallery, it`s right there... Someone had to have Photoshopped it," she said. So we asked her to show us the photo on her iPhone but after a few minutes of looking, Farley, was unable to find the photo that started the whole snake scare in the first place.